Since the time Apple Inc. has introduced iPhone 8 in the market, people did not give a second thought before buying this amazing phone. Studded with a beautiful glass and incorporated with the fastest processor, it is indeed a priced possession. However, what if, the expensive phone you are investing in is damaged accidentally? A drop or a water spillage is enough to damage the phone! Well, there is no scope for applying DIY techniques. Call up for the expertise assistance of Mobile Expert to get the repairing done within the minimum possible time. Mobile Expert offer prompt iPhone 8 Plus Screen Repair Services. The screen of the iPhone is one that has one of the best features in the category of the premium smartphones. The 5.5 inches Retina HD display screen brings a luxury experience to the premium users. A cracked screen will obstruct the luxury of the high definition view. The expert iPhone repair technicians from Mobile Expert are proficient in repairing the screen of your phone. The technicians also ensure that the screen is replaced within the day. While improved in many ways, the iPhone is just as susceptible to screen damage as its predecessors. A drop onto a hard surface can damage the glass. This makes it very difficult to view your screen or even impossible to use properly. All our repairs and replacement of parts come with lifetime warranty to ensure you of a peace of mind. We offer fast turnaround (usually within 24 hours) services. We Provide Water Damage Repair for iPhone 8 Plus. We know how painful it is when your priced possession is exposed to water splash. However, iPhone 8 Plus is marked as resistant to dirt and water splashes. However, a continuous exposure of the phone to water source that is deeper than 1m for a longer period of time is going to harm the phone. The liquid exposure can surely impact the performance of your phone. In such cases, bring your phone to us. Our technicians are specialists in dealing with phones, going to ensure that your phone functions properly after the repair. We will provide you with the estimate of the repair. 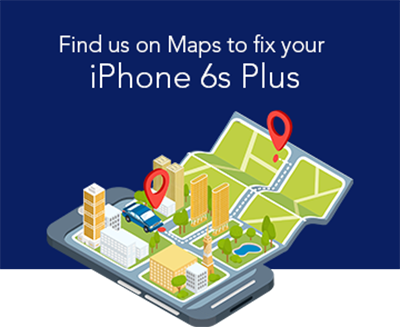 We at Mobile Expert provide iPhone 8 Plus Screen repair in Brisbane at an affordable and convenient manner. Be it a dodgy iPhone or shattered screen; we deal with all such problems to make your iPhone look and work like a new device again.